Our farms are more than just cows and pasture. We have planted rainforest and created wetlands to cultivate a living farm organism. Our farms are full of wallabies, cassowaries and a diverse bird population and even dingoes, exactly as a biodynamic farm should be. Mungalli is looking to scale up it’s business with the help of it’s community! 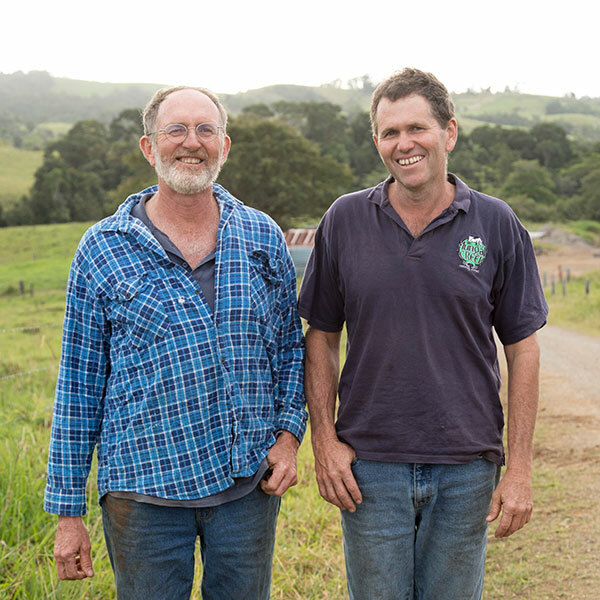 Invest in one of Australia’s leading Biodynamic dairies and help us build a more sustainable future. We are about to go through a growth spurt, which every parent knows, is never cheap. So, to fund further growth, we’ve been investigating equity crowdfunding. It’s a new way for companies to raise investment from the public. It allows business’s to bring their community on their journey of growth! We love the idea of having our community behind us and Equity Crowdfunding allows that to happen! You don’t need a fistful of dollars to become an equity investor. Any Australian resident will be able to invest into our company and own shares from as little as $200. Follow the link below to learn more! As the current caretakers of this beautiful land, we have a responsibility to leave it better than before, so that this pristine part of tropical Queensland is here in it all its beauty for future generations. 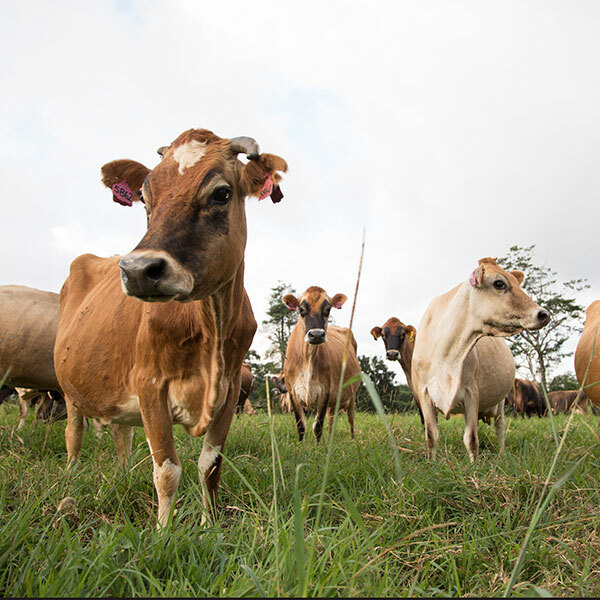 Our community is important to us which is why we pay our farmers a fair wage for their milk and we continue to actively support, sponsor and donate to worthwhile community initiatives. We believe in sustaining the health and vitality of our customers by providing them with the same clean and healthy food our family enjoys. Our customers are the reason we exist. Our farms were never meant to be just cows, chickens and pasture. You will often spot wallabies, cassowaries, platypus as well as a diverse bird population on our biodiverse farms. “Both Dan and I have families and we want to know that the only footprints we leave are the muddy ones of our children. 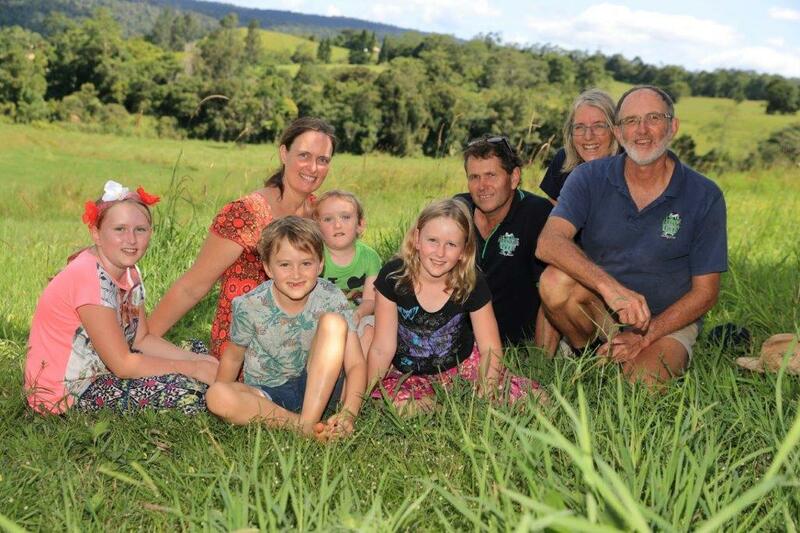 Although we pioneered Biodynamic farming in our region there are now two other families on the Atherton tablelands who care about their soil and animals as much we do! Like Organic farmers, we use no artificial fertilisers, pesticides, antibiotics or growth hormones. Biodynamics however takes organic farming a step further. It focuses on the farm as a living ecosystem that is a part of the environment rather than separate from it. We look at soil health, vegetation and livestock health holistically and focus on enhancing soil fertility. 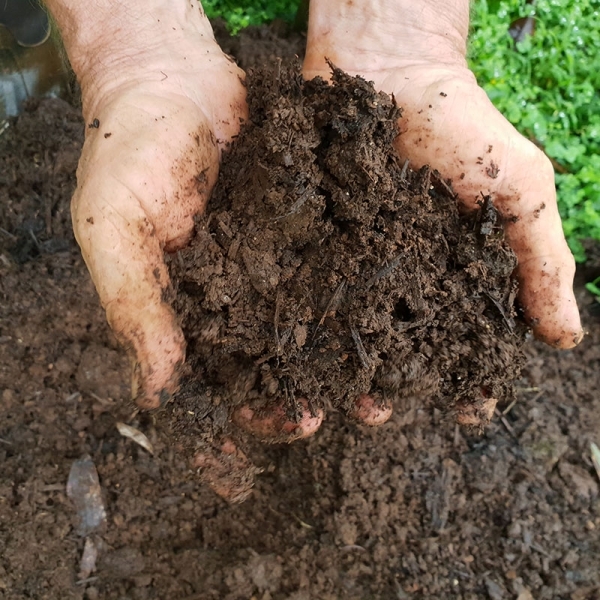 Biodynamic practices and preparations breathe life, energy and strength into the land, which in turn produces food that is rich in nutrients. Mungalli 100 years ago was thick rainforest and we have consciously allowed 30% of our farms to revert back to forest. It means that our farms are more than just cows, chickens and pasture. You will often spot wallabies, cassowaries, platypus and a diverse bird population as well as dingoes and wild pigs. 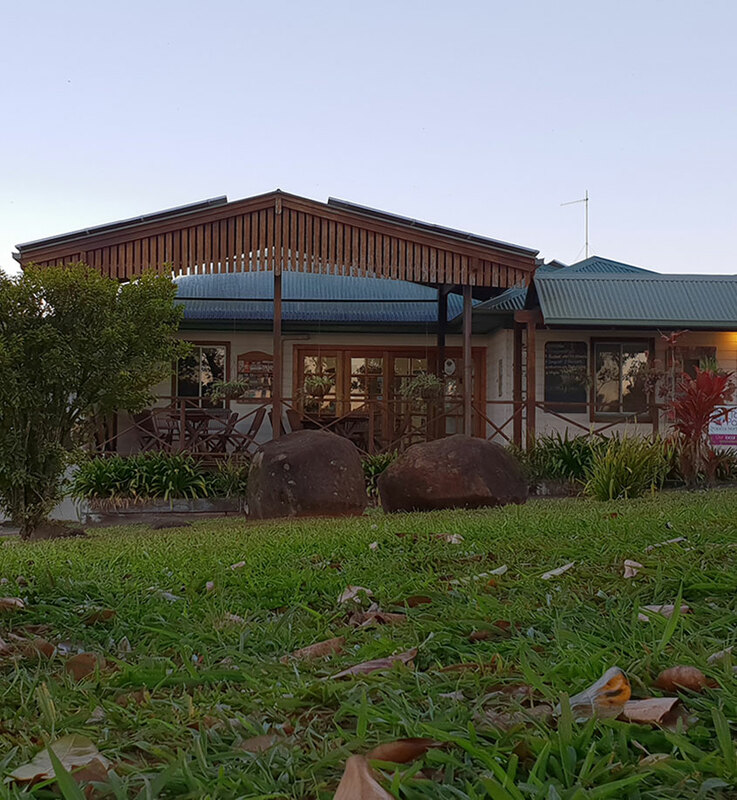 Our cafe is the original farm house that the Watson brothers grew up in and is situated in the heart of our farm. Our verandah over looks the Johnston River Gorge and world heritage rainforest. Behind that, Mt Bartle Frere, Queensland’s highest mountain, creates a dramatic backdrop for visitors. The production area adjoins the café, and strategically placed viewing windows allow guests a glimpse into our creative heart. 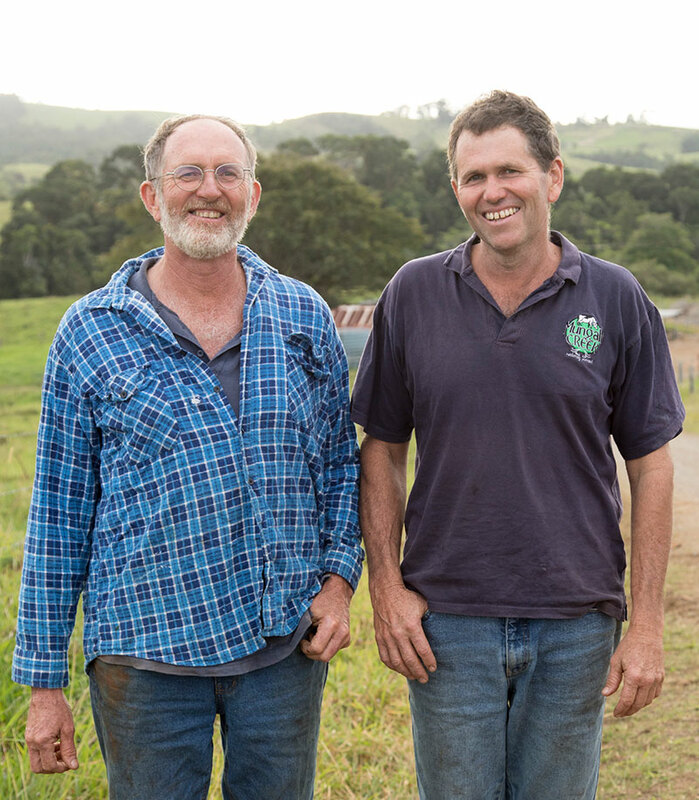 OUR BLOGS ARE WRITTEN BY FARMER ROB, THE FAMILY, AND ANYONE ELSE AT MUNGALLI WHO HAS SOMETHING TO SAY.